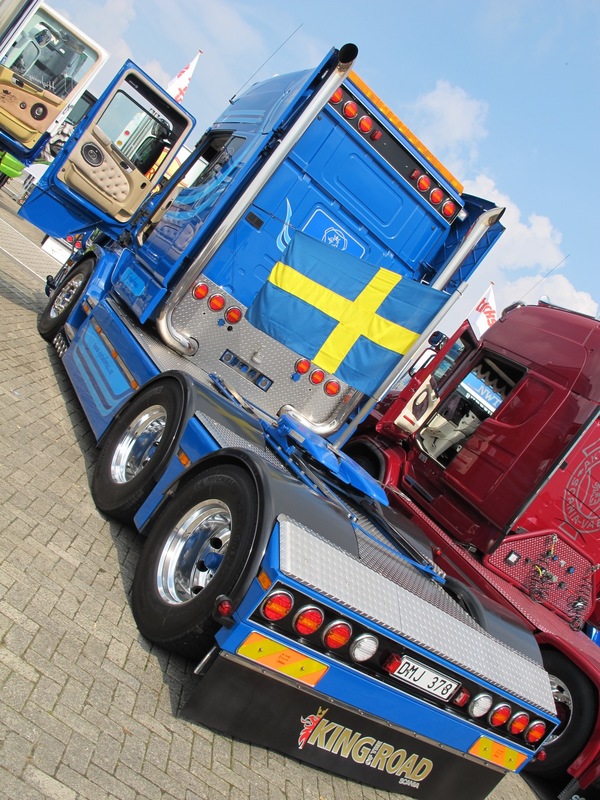 This is another one for the mini artic and drawbar lovers among you. 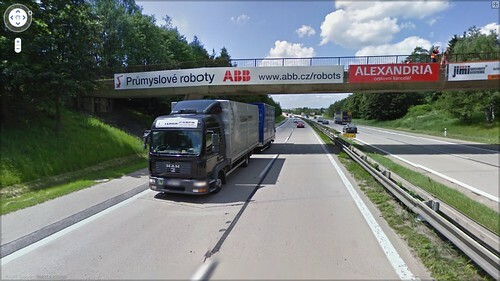 I’ve been meaning to put it on for a while now, but one evening while bored I was using the Google Street View and heading down the motorway towards Brno in the Czech repulic and I couldn’t help but notice just how many mini artics or mini drawbars there were. I know the Eastern Europeans are big fans of these mini combo’s, but there seemed to be one every few miles! 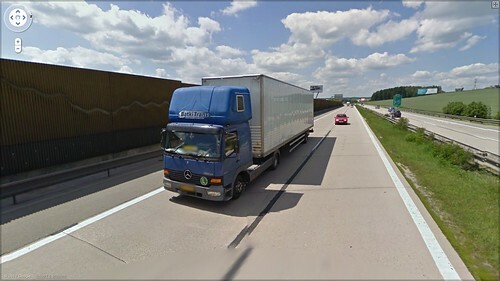 Still nothing in particular to update you with, no photo’s any way, but….. a couple of our drivers we’re heading for Bremen and that sort of area last week. 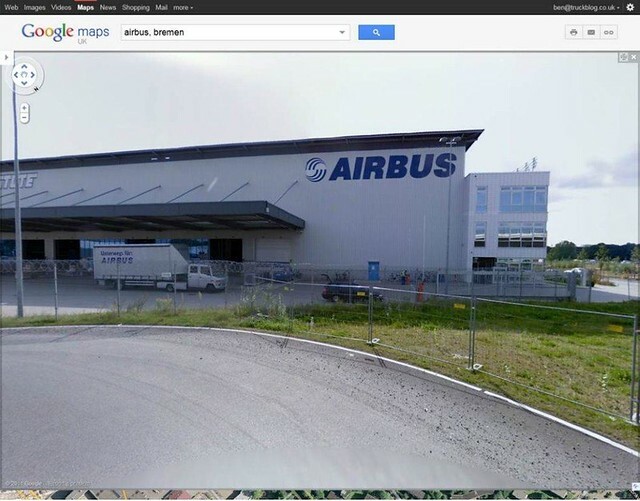 In my wisdom I mentioned it to the drivers and after the usual barrage for abuse for being such a sad-o, one driver said have you looked on Google Street View around the Airbus factory’s in Bremen………….. of course I hadn’t!! 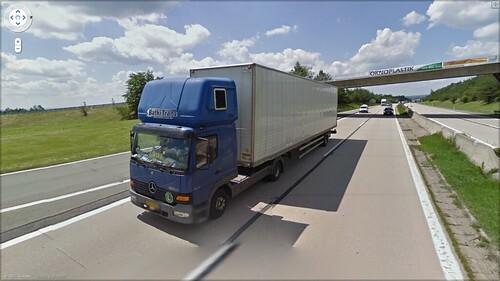 I popped onto the interweb and plonked the Street View man on a road right out side the one of the factories and low and behold an Activ spot!! A nice ageing Mercedes 814. So there we were talking in the office, the kind of late afternoon office banter that goes on, when you realise its nearly home time but not quite and you have lost the will to live……… the big boss man pipes up and says he followed a Google Street View car on his way home the other night. 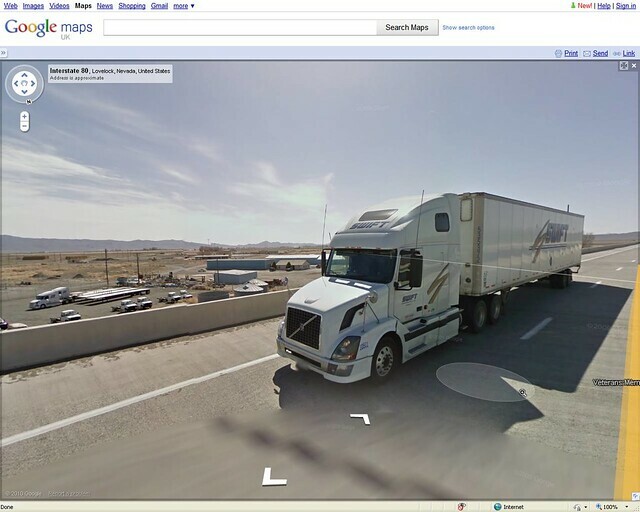 So we carried on chatting and i ended up searching the net to see what i could find out about being a Street View car driver. 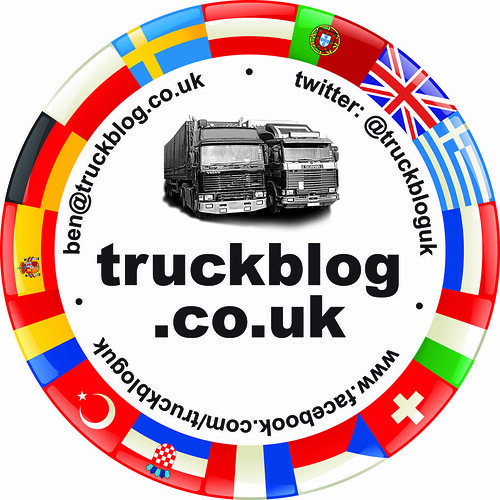 Easily distracted by any thing truck (hence the worldwide popularity of the blog!!) 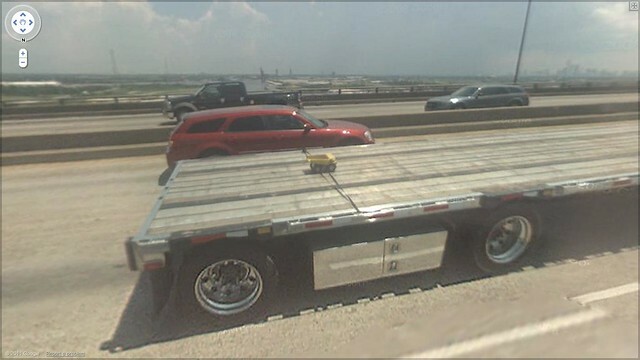 i came across a set of map coordinates and a title of “Big Load on Flat Bed Truck”, how could i resist. 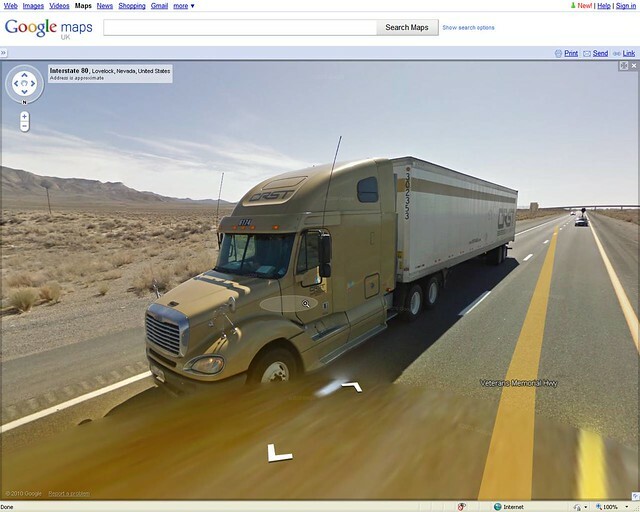 So i enter the world of Street View and look for a flatbed of some sort. Looking around i see this below, nice. 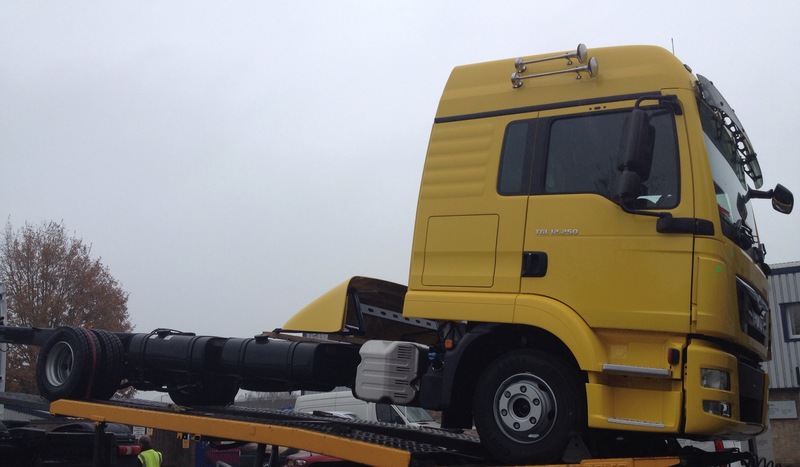 A tidy International with a flat bed, an empty flat bed! 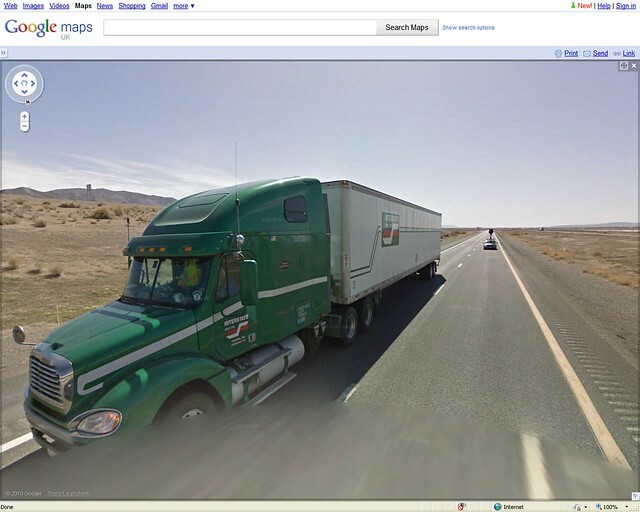 Anyway, a quick perv at the truck as she passes. 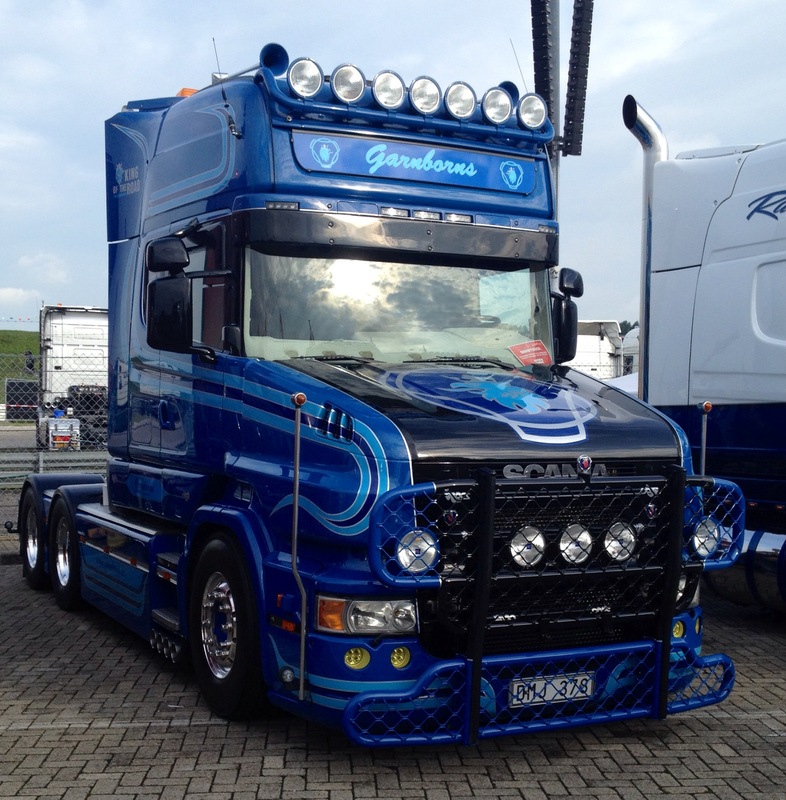 Plenty of shiny shiny, those wicked long wheel nut covers, extra lights, nice paint, big single stack…….. 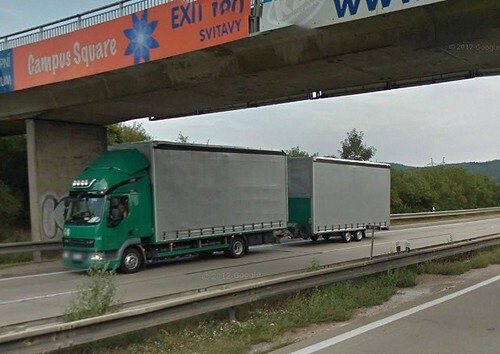 Still looks good as she passes further, but still an empty trailer, so where is the Big Load??…….. 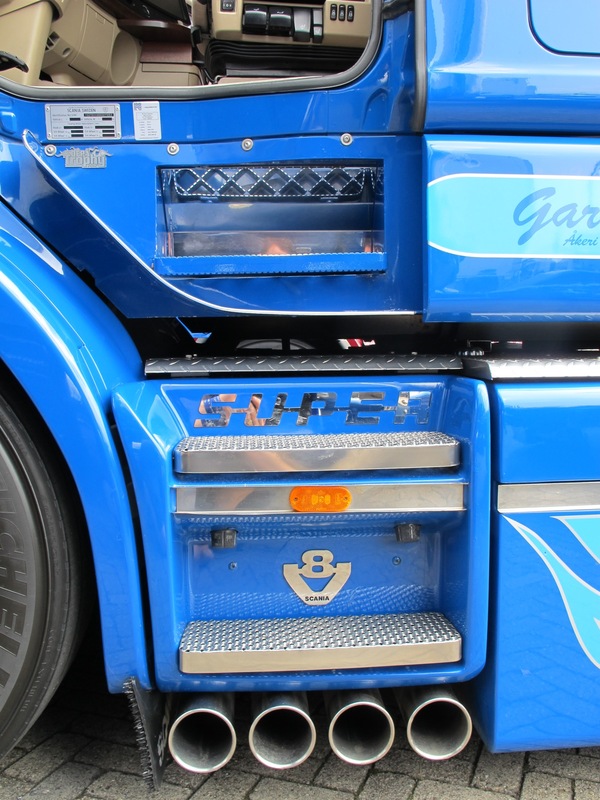 Trailer looks tidy yes, nice spread axle you cant disagree, but where o where is that Big Load?? 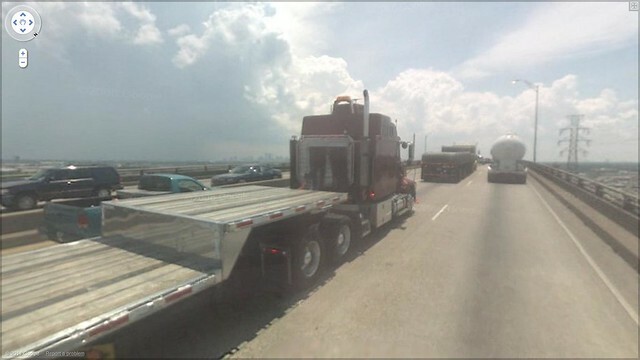 ?……… Hang on a minute there is some thing on that there trailer on a bridge in New Orleans on the I10 east bound (and down, la, la, la)……. 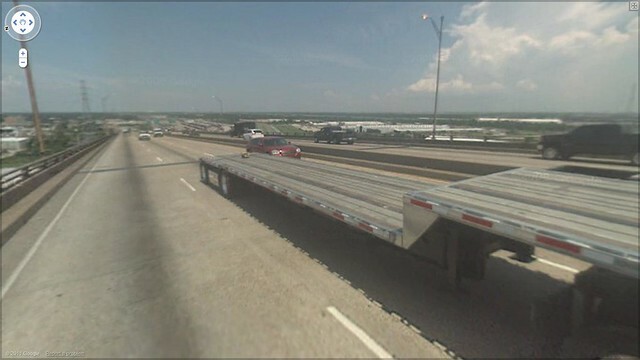 Any way as i was on the bridge, i thought I’d see what our loaded flatbed was following. 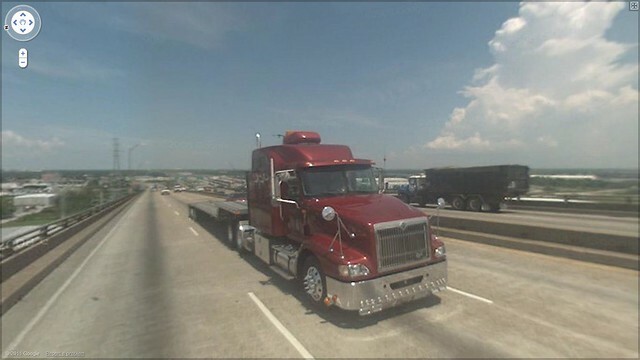 A mean looking Freightliner pulling concrete pipes. I like the short stacks, i think that’s what gives it the look! I should have put a pic of the pipe lashings instead. The lashings consist of 2 wire ropes running from the front of the trailer to the back, yea length ways. As long as he isn’t heading to Germany he vill be fine Ja! 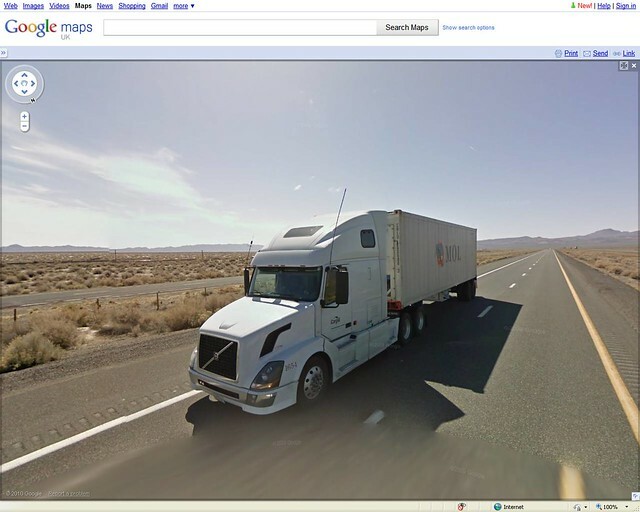 Now the other day i was out for a drive, cruising down the i80 in Nevada…… After a few comments of previous pictures here are a few more Google Street View shots from the dusty highway. 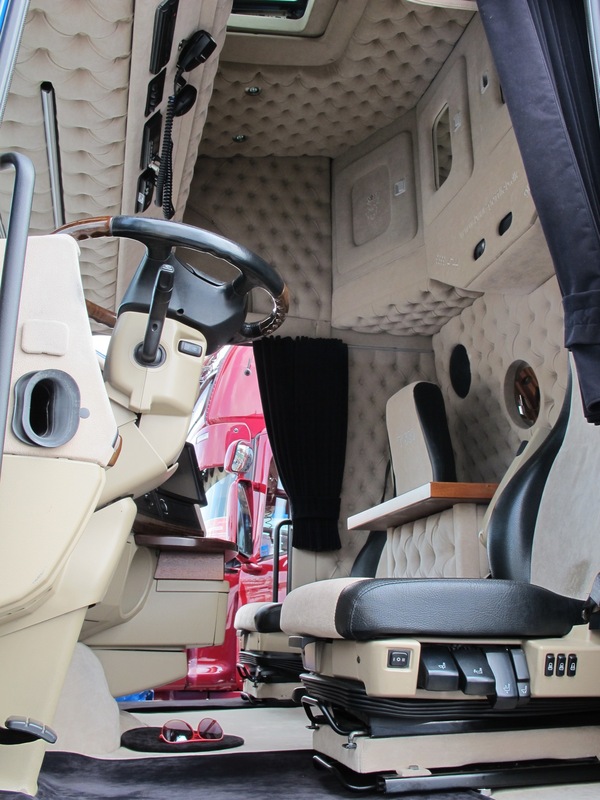 I think its fair to say the Volvo VN’s are becoming very popular in the states. 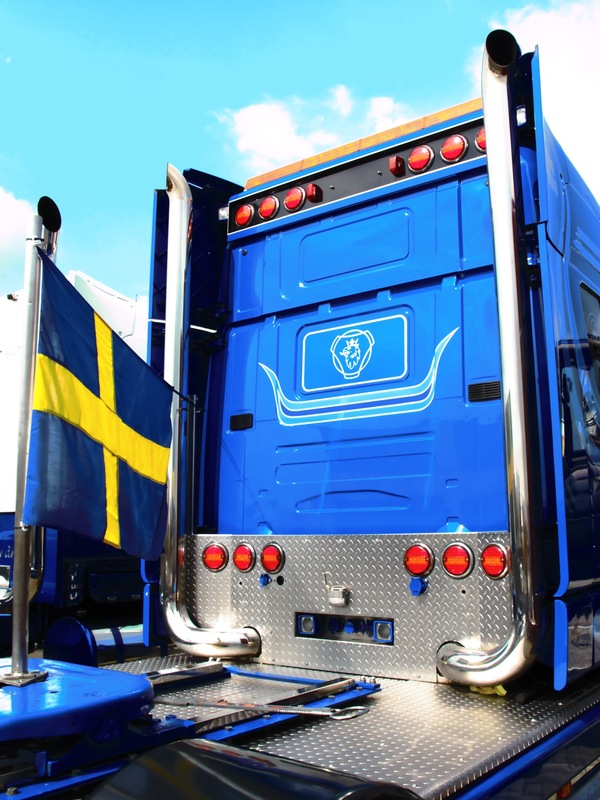 You can understand why, as most drivers in the US openly admit that European trucks are better built and have better ride and finish, but they wont have them because they don’t have the long bonnet. But since Volvo solved that little problem and started building the VN series back in 2002, there has been no stopping them. I think i am right in saying they are now top of the sales charts for the US. Have a look at this little selection (of mainly Volvo’s). 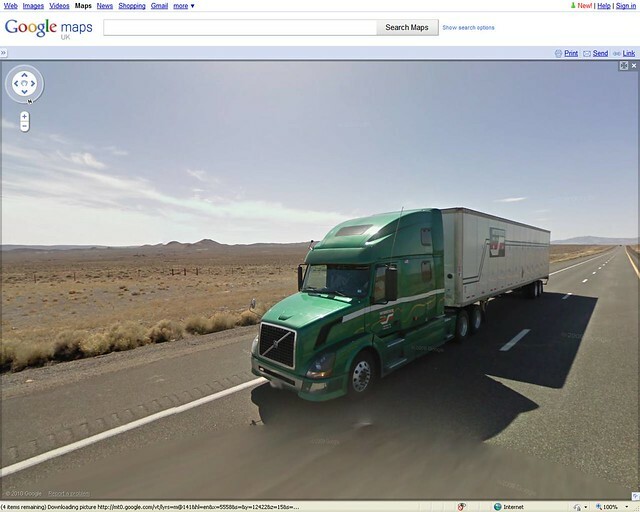 Just look at the long long road with the backdrop of the Nevada desert, not quite the same as the M6 now is it! 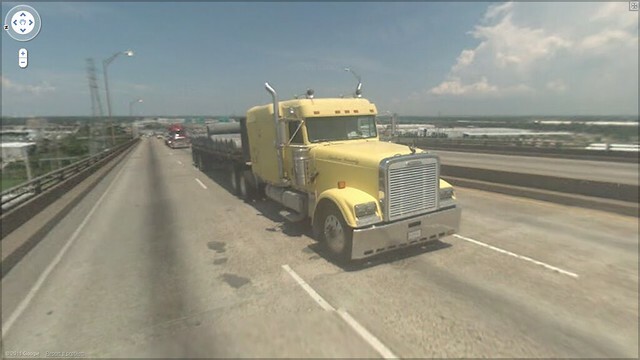 This Gold Freightliner makes for a nice but modern change, a popular truck with the fleets as i imagine its a little cheaper but still is a good truck for operators and drivers alike. Note the white wheels, definitely a fleet truck! Smart none the less. 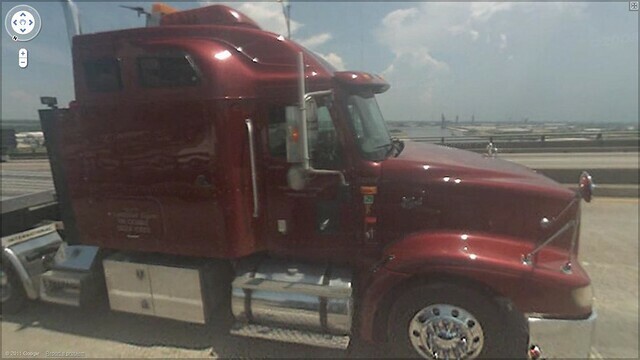 These final 2 trucks are both Freightliner and Volvo, owned by Interstate Distribution Company based in Tacoma, Washington State. 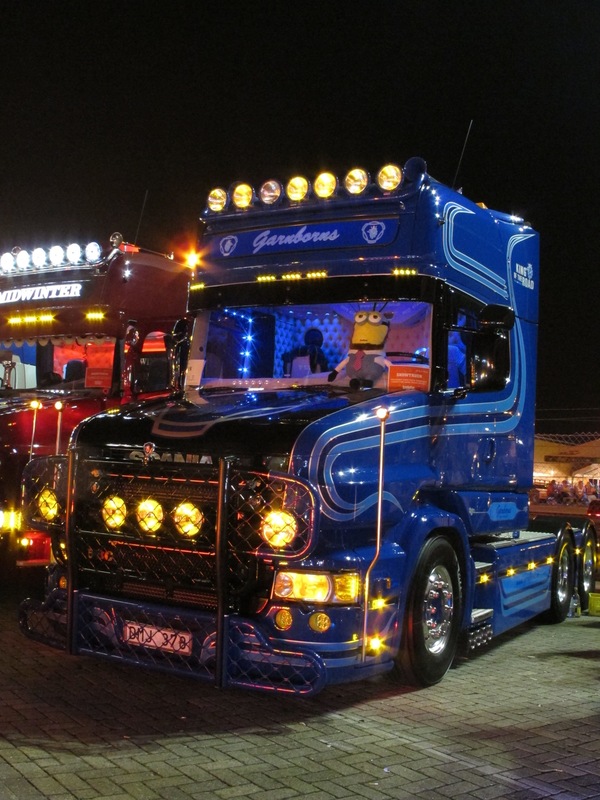 I think you’ll agree that both trucks look smart, but the Volvo is slightly better or is that just my European bias coming into play?? Just look at that scenery! 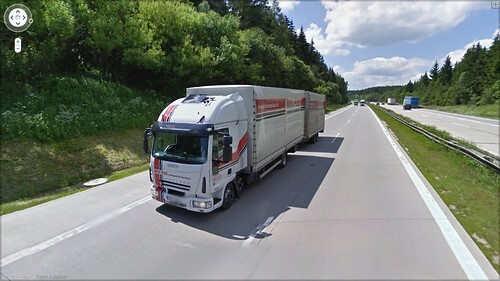 That’s about that for this one, but if you have any comments please leave them below or email me at; ben@truckblog.co.uk ……..Untill the next Interstate cruise…………..
What a life the long distance lorry driver has. 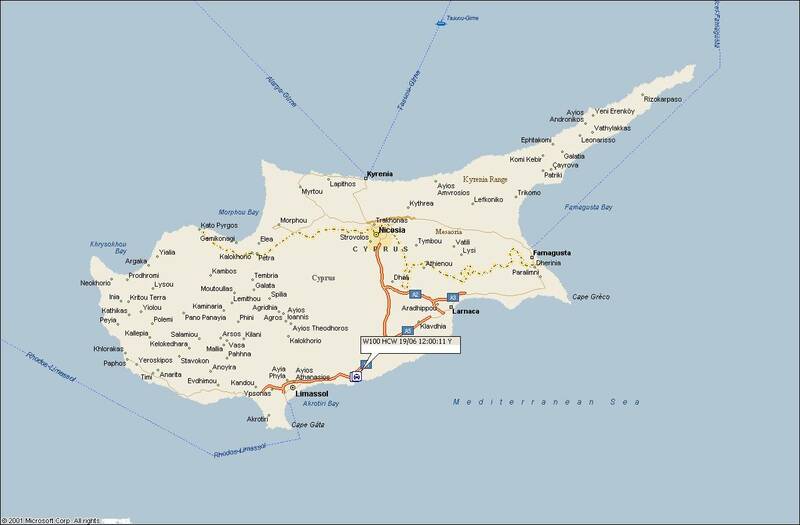 Deliver Saturday 20km from Limassol then you have to wait til 1600hrs Tuesday for the boat back to Greece. Lovely, what would you do with your self getting paid in Cyprus for the best part of 3 days. I think i’d park up for the weekend some where, then perhaps tout for some local jobs on Monday!! Just in case anyone knows there is a 6 wheel rigid of HC Wilson in Cyprus untill Tuesday afternoon.